Sulphate salts present in brickwork react with alumina content of cement and with hydraulic lime in the lime mortar causing considerable increase in the volume of mortar. This, in turn results in chipping and spalling of bricks and formation of cracks in joints and rendering. This defect occurs in situations where the brickwork is exposed like boundary walls, parapets etc. or where it is likely to be in contact with moisture like manholes, retaining walls etc. This defect can be remedied by adopting suitable construction details and choosing materials in such a way that entry of moisture into the body of brickwork can be checked. This defect commonly occurs in masonry made out of bricks which contain excessive soluble salts. When such bricks come in contact with water, the soluble salts get dissolved and appear in the form of fine whitish crystals on the surface of brickwork. The phenomenon is also known as efflorescence. In this defect, the surface of brickwork gets disfigured and presents an ugly look. Efflorescence can be remedied by brushing and washing the affected surface repeatedly. Iron or steel embedded in brickwork gets corroded in the presence of dampness. On corrosion, the metal expands in volume and tends to crack the brickwork. This effect can be prevented by encasing the reinforcement or iron member in dense cement mortar and providing a cover of 15 to 25 mm around the embedded member. Brickwork normally swells with the absorption of water and subsequently shrinks when the water evaporates. In the process of shrinkage, it develops cracks in the masonry joints. 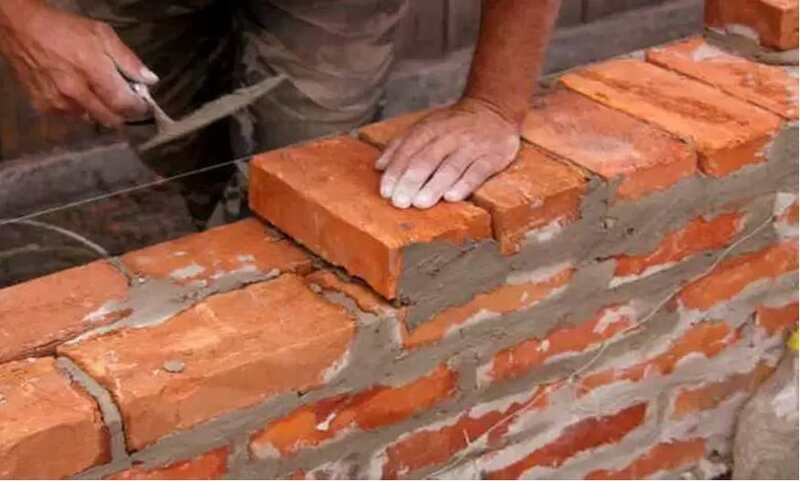 If the mortar used in the masonry is lean, the cracks are distributed over a large number of joints and in case of rich mortar, the cracks are few but wider. Such cracks do not affect the structural strength of the brickwork and can be easily rectified. This defect can be prevented by using good quality bricks and by protecting masonry from moisture penetration. Also Read – How To Calculate Shuttering Area For Construction. Great info! Knowing how to fix these things can make a big difference!